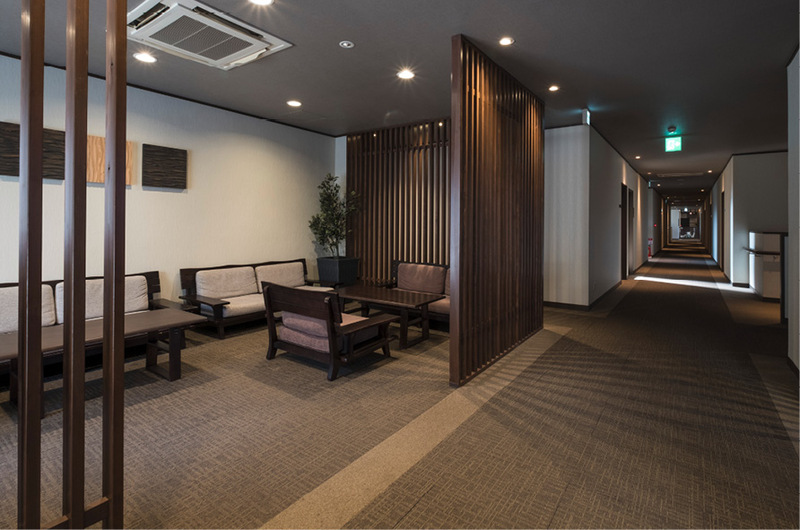 You will find areas around the inn in which you can relax and unwind. 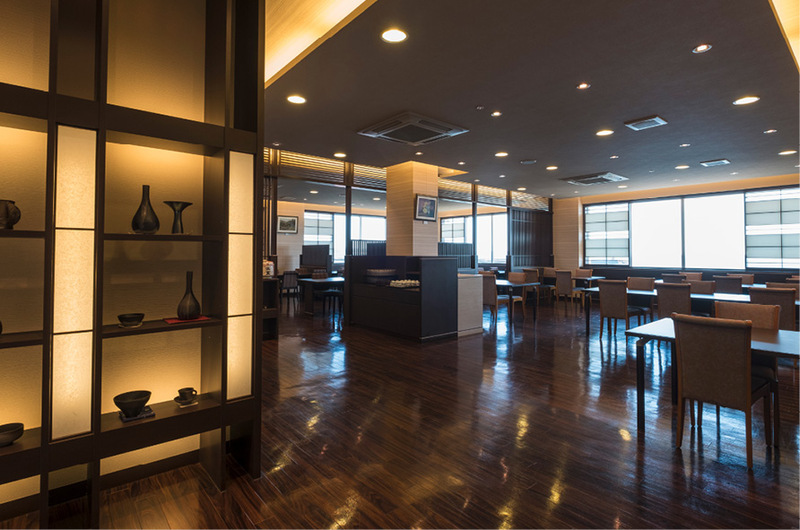 A spacious interior with a modern design presents Suzu ware and other arts and crafts for you to enjoy in comfort. While some luxury hotels opt for being at your beck and call, we give you the space and freedom to be totally at ease and unbothered. 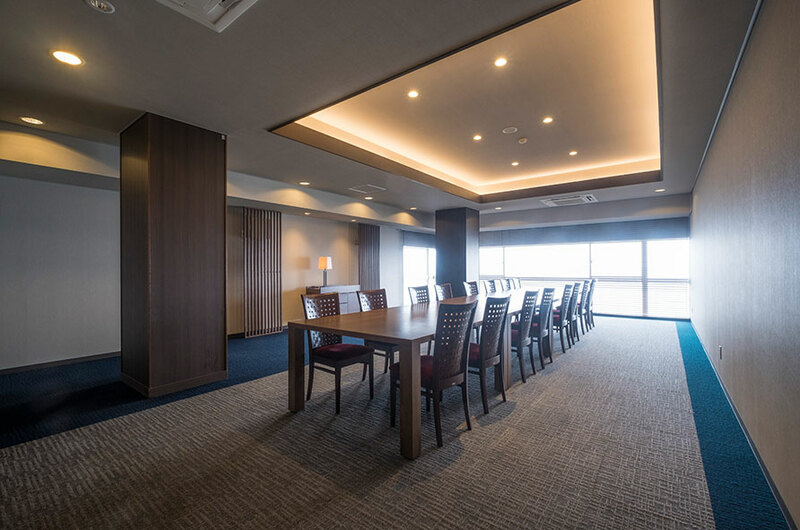 The large windows of our spacious lobby look out on the sea of Japan. Read a good book with coffee in hand, or have a pleasant talk with friends and family. 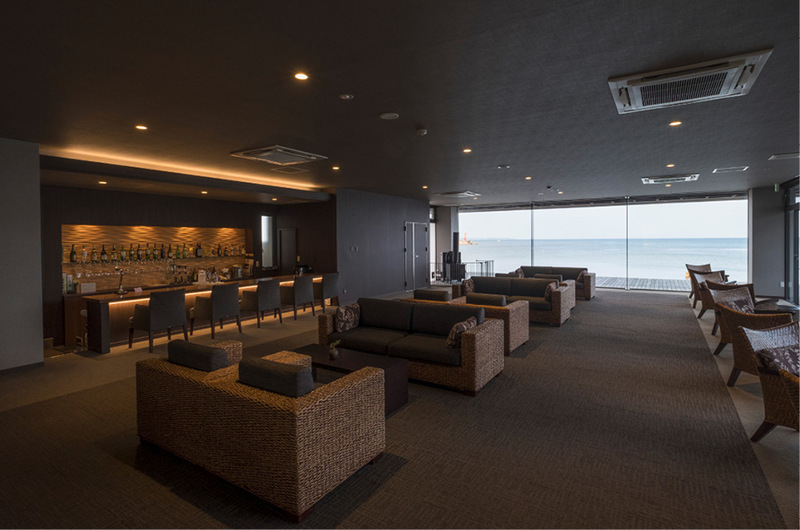 Located off to one corner of the lobby, our lounge gives you an elegant place to unwind while gazing at Mitsukejima Island, illuminated by the setting sun. 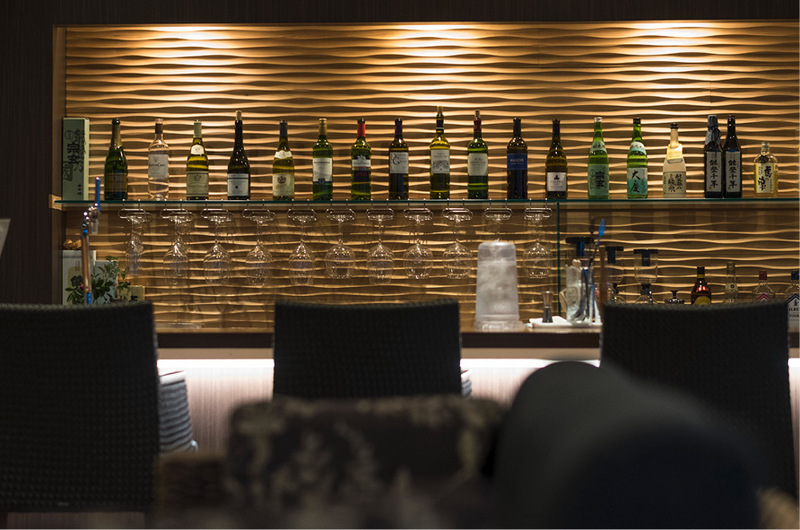 Enjoy breakfast and dinner at Isaribi, our restaurant overlooking the water. This hall is available for use for banquets or receptions by large groups. 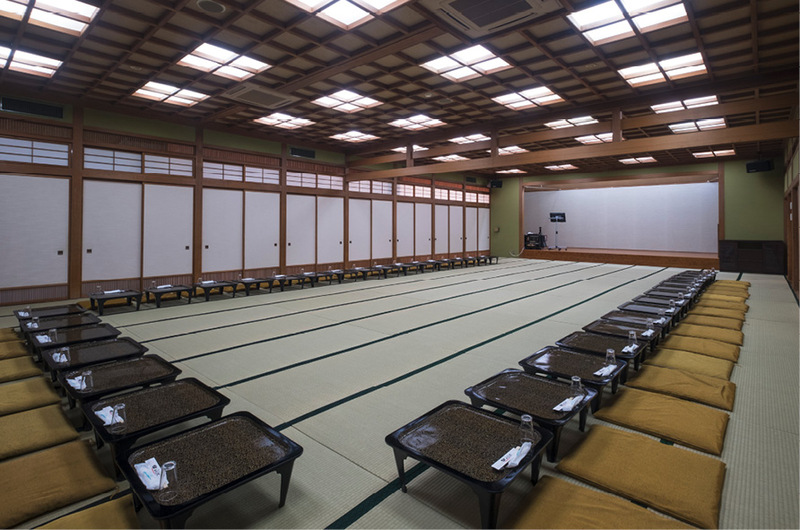 The room has occupancy for sixty people at traditional low table seats, seventy at Japanese tables, and seventy standing up. 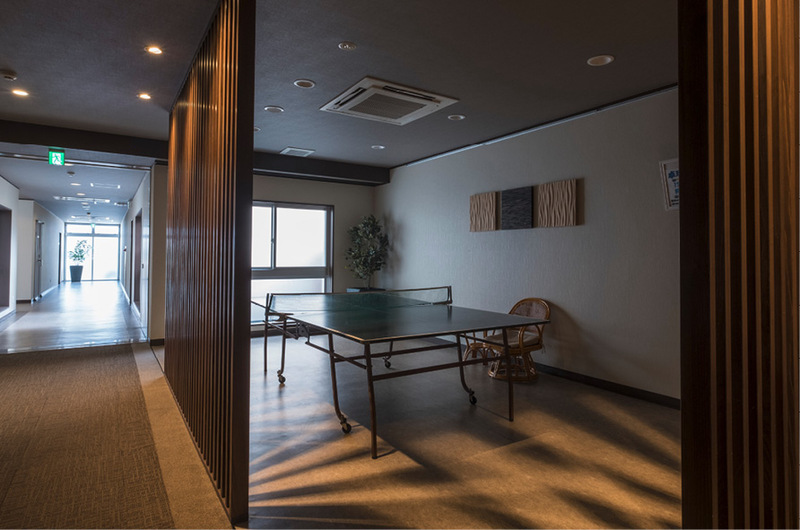 This room looks out on Mitsukejima Island. A good choice for small celebrations, Buddhist services, meals et cetera. 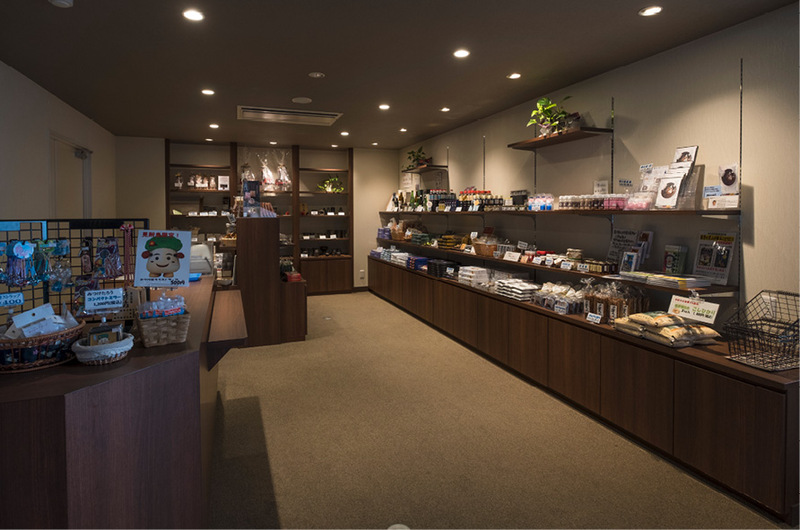 We sell unique local products of the Noto and Suzu region.